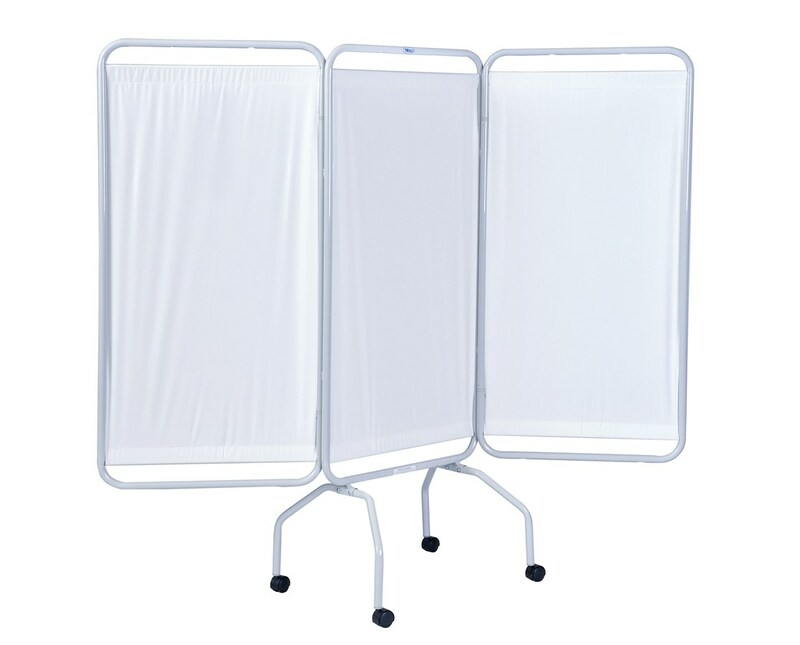 The 3130 Winco 3 Panel Steel Frame Privacy Screen will stand up to years of hard use. The wide, sturdy and durable steel frame helps to eliminates tipping or leaning and is easy to clean. 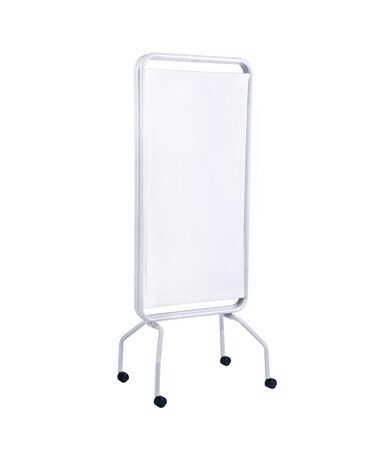 The privacy screen comes with smooth rolling twin wheel casters that can be easily converted to crutch tip bases. The white vinyl curtain is a 6-mil, flame retardant and bacteriostatic. An added benefit of the steel frame is that the panels are hinged allowing easy storage and multiple configurations. Sturdy hinged panel ensures years of problem free use. Wide base for added stability. The smooth rolling twin casters easily convert to optional crutch tips. Smooth powder coated steel frame for durability and ease of cleaning. Flame retardant bacteriostatic 6-mil vinyl curtains. 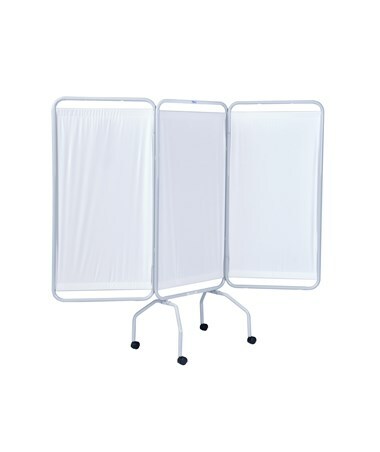 Panels are hinged to allow for easy storage and multiple configurations.